If you’re looking for a tasty green bean salad that can easily act as both a light lunch as well as a quick healthy snack for when you’re feeling extra hungry, then look no further. 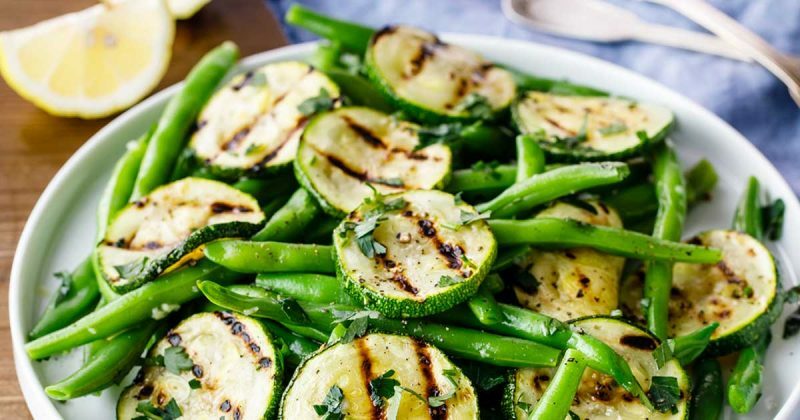 This zucchini and green beans salad has got you covered and as an added bonus, it's vegan, too. 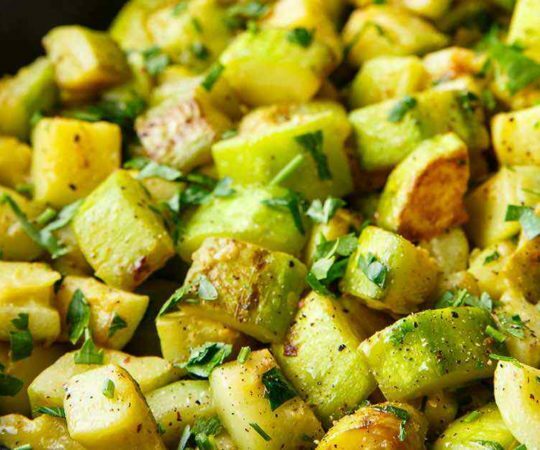 The base of this green bean salad recipe is fantastic and stands perfectly on its own, as grilling the zucchini really helps to bring out its flavor while the olive oil and apple cider vinegar help to round it out by providing a pleasant tangy taste. 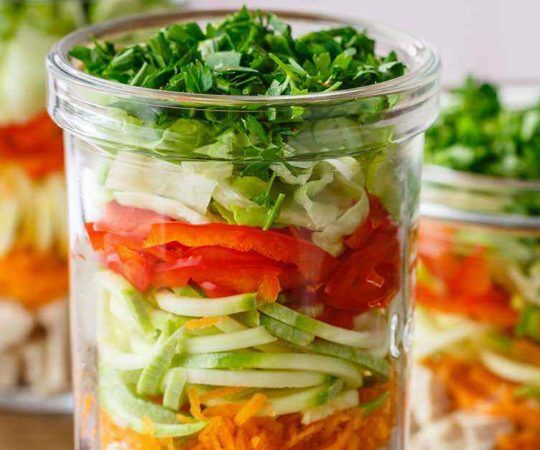 In addition, if you’re looking to up the protein content just a bit, it’s easy enough to add in some grilled chicken or beef to really make an incredibly satisfying salad meal. It’s no secret that fruits and vegetables are universally considered to provide fantastic health benefits to you with little, if any, downsides. (1) They provide plenty of dietary fiber along with a wide range of essential vitamins, minerals, and antioxidants. Even amongst fruits and veggies though, certain items are considered healthier than others, and it’s widely accepted that green vegetables are the healthiest of them all. This explains why so many people turn to green salads as satisfying meal options after deciding to make positive dietary changes to improve their health. 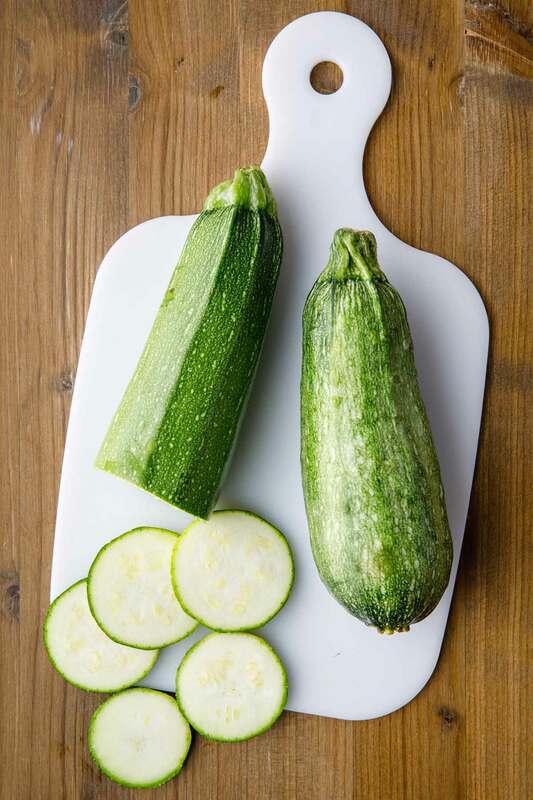 After boiling your green beans with a tablespoon of salt and then draining them, the recipe calls for grilling the zucchini on a pan coated with a bit of olive oil to really enhance the flavor that it provides. Then the only thing left to do is to mix it all in a bowl together along with the parsley, apple cider vinegar and remaining olive oil. Voila! You’ve got a beautiful, healthy green bean salad that can serve up to four people, as easy as that. 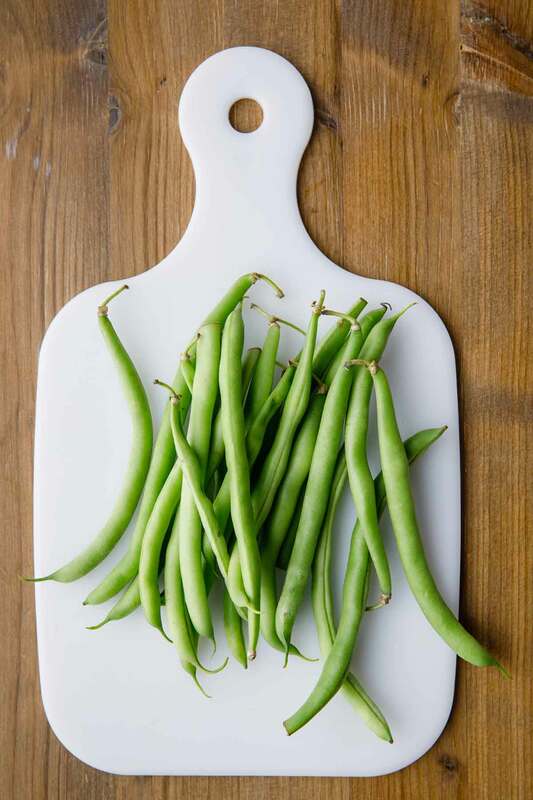 This delicious green bean salad is extremely simple and straightforward to prepare. I guess it’s true what they say in that often times, the simple things in life truly are the best things. 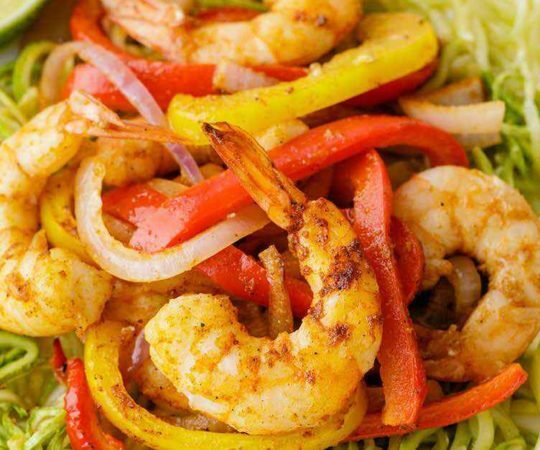 Once you sample this yummy salad, I’m positive that you’ll agree with that age old saying. 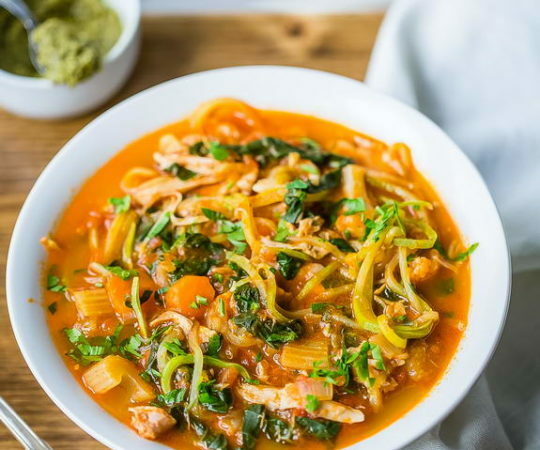 The mix of healthy greens combined with the tangy taste of that oh so good for you apple cider vinegar is absolutely heavenly, and will surely leave your taste buds delighted. P.S. 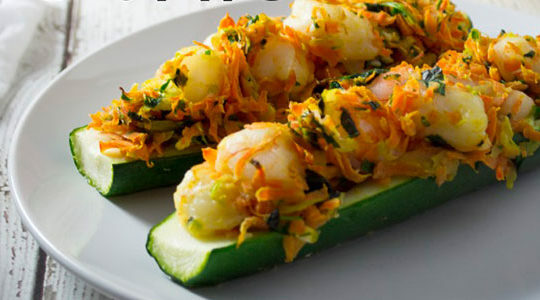 – Can’t get enough grilled veggies after trying out the grilled zucchini in this salad? 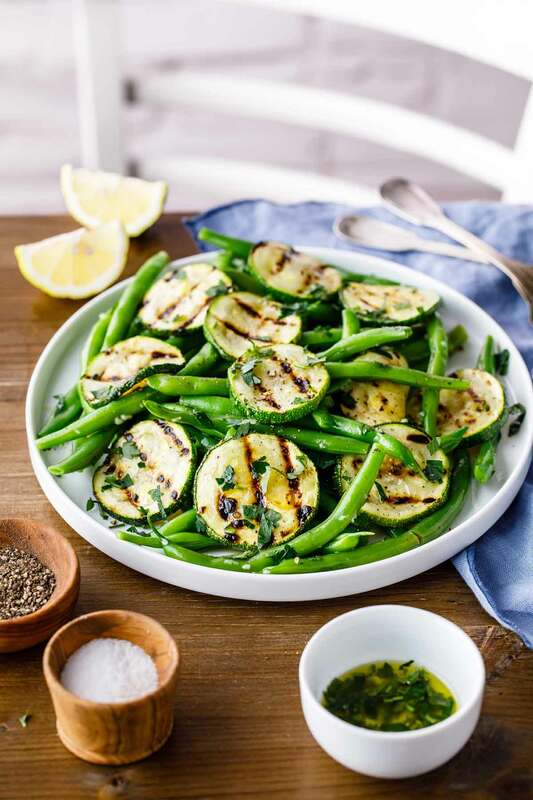 Check out this other great grilled veggie salad platter that includes lime sauce for more grilled veggie goodness. Not enough protein content in any of the above salad options for your tastes? Not to worry, we’ve got what is potentially the single greatest paleo tuna salad that you will ever try. Add 1 tablespoon salt and the green beans. Cook the green beans for 4 minutes. Drain the green beans and immediately plunge them into ice water. Set aside. Coat the grill pan with a tablespoon of olive oil. 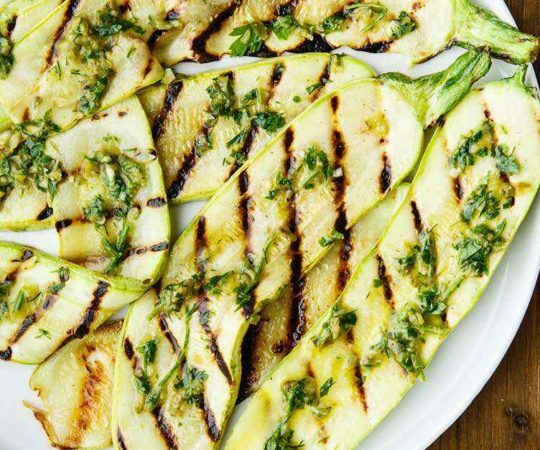 Grill the zucchinis 2-3 minutes per side, or more if necessary. 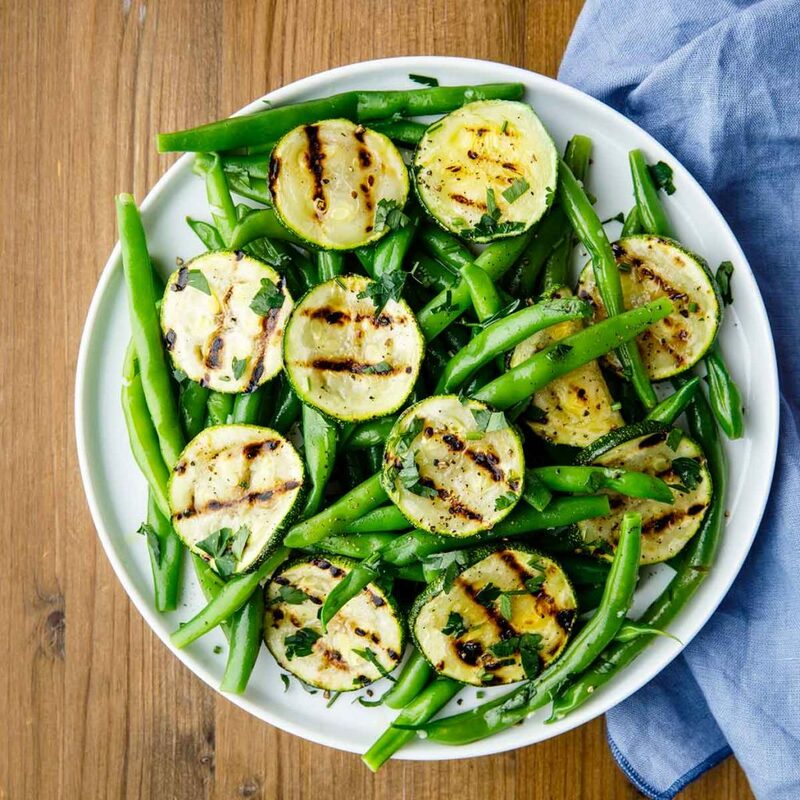 In a bowl, combine drained green beans, grilled zucchinis, remaining olive oil, apple cider vinegar and chopped parsley. Season to taste with salt and pepper and toss to combine.